The BMW 1 Series is arguably one of the best hatches to drive on the market today. It has the grunt, it has the power, and it has the Bavarian DNA. 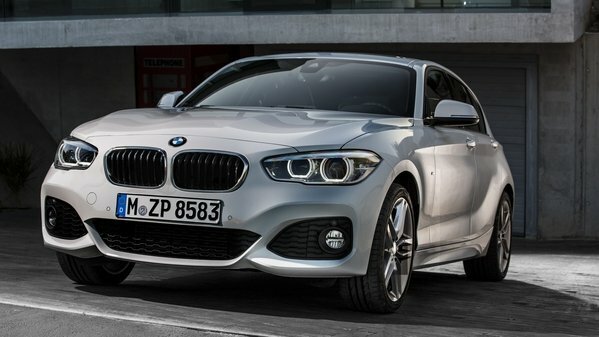 The 1 Series is due for a new generation this year, however, BMW has no plans to carry the rear-wheel-drive system and the six-cylinder engine over to the next-gen. To mark the end of this journey, BMW is bidding adieu to the M140i to this unique combination with the Finale Edition model. Back in 2012, the Swiss arm of BMW created a special Christmas video to thank its local buyers for choosing a BMW, and what resulted is one of the funnier videos I’ve seen in recent years. The help of a racing driver is enlisted, and he’s tasked with driving a BMW 135i around a track with four passengers trying to sing Christmas songs. We didn’t get a chance to enjoy the second-generation 1 Series here in the States, but with the introduction of the third-gen model, BMW has decided we are worthy yet again. So far, very little is known about the new 1 Series, but one big factor could be rather detrimental to its success: it’s shifting from a RWD architecture to a FWD architecture. It’s a move that’s surely ruffling some feathers in the Bimmer community. 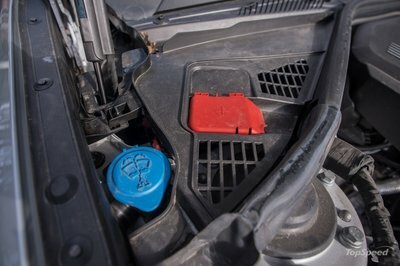 This switch is made possible by UKL platform that debuted in the 2014 Mini Cooper and now underpins the new 1 Series Sedan, 2 Series Active Tourer, and the X1. 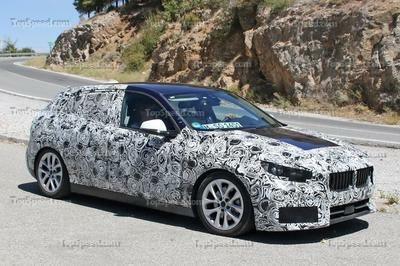 Outside of this, the new 1 Series will shed its homely exterior design in favor of a more aggressive look with a slightly longer wheelbase than previous models. Rumor also has it BMW is dropping the three-door model, leaving just the five-door hatch to fight against models like the Volkswagen Golf and Ford Focus, among others. More importantly, however, is the fact that the UKL platform will translate to more space inside for rear seat passengers and cargo. Compared to the Mini Cooper, the new 1 Series will be a bit longer and is even said to be coming back to the U.S. And, to add even more fuel to the fire, the BMW 1M could come back with as much as 360 horsepower on tap – just enough to put the Focus RS and Golf R in their place. But, before we get too far into all of that, let’s take a short walk down memory lane before diving into hints offered by the first round of spy shots. 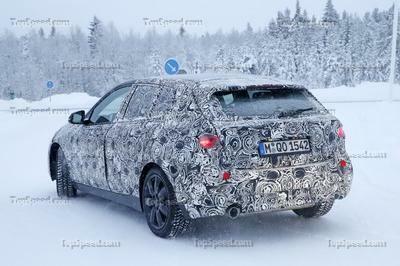 Updated 12/27/2017: Our spy photographers caught the upcoming BMW 1 Series out for a new testing session, this time during its first winter testing. So, let me start off by saying that we’ve gone over these spy shots multiple times attempting to find something new, but nothing on the outside has changed. It’s only been a couple of months, and, it happens. But, what’s important here is what came at the end of our photo roll, and that was a look at the interior. It’s pretty wild considering BMW rarely changes much, but the truth is, there’s a lot going on here – even if we can’ see most of it because it’s covered up. First of all, let me point out the more obvious items like the new shifter for the automatic transmission, and there’s also a button for the ugh electronic emergency brake. Dear God, don’t get me started on the addition of the electronic E-brake. The real changes are what’s happening under the covers. In case you don’t see it, those center HVAC vents are sitting much lower than on the current model and take a look at the infotainment display. Sure, it’s covered up but notice how much larger it is? Oh, and look at the controls down below the vents for the HVAC, there’s only one control knob there. The instrument cluster also looks to have grown a bit while the infotainment display itself will actually sit more forward toward the driver instead of hovering above the dash. In the end, the dash and center console are more integrated into the vehicle and appear to have a much cleaner fit and finish. The center console itself should be revised to a varying degree while the door trim panels should be all new. 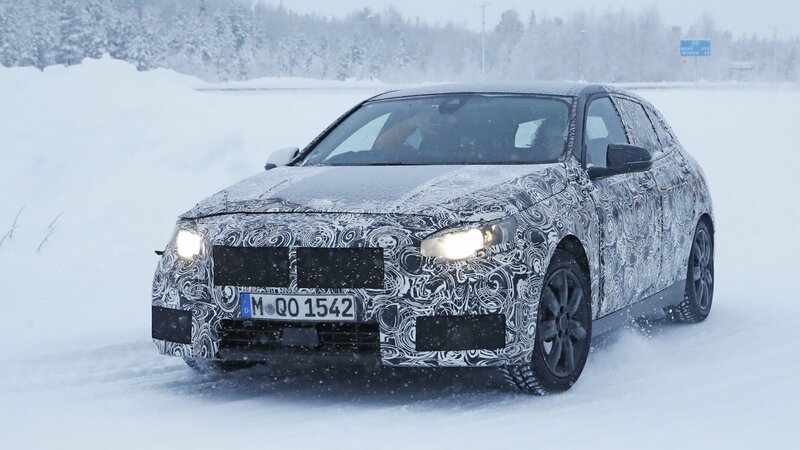 a lot of the camo is still there, but this time around the 1 Series is sporting kidney grilles that aren’t production ready but show off the official shape. We can also make out what the fascia will look like thanks to a nice view of the left corner, and we can see what appear to be the production headlights as well. So, what does any of this tell us about the production model? Let’s start with the headlights. The last prototype we saw didn’t give us a very good look, but this time around we can make out just about everything. For starters, the 1 Series will ditch the headlight style of the newer BMW’s and go with a single LED projection unit that is mounted pretty much in the center of the lens. We can’t make out the LED strips that will be in the lights, but based on the camo they will be along the top and lower edges. The side/corner markers will also feature a clear lens with amber reflectors and bulbs, so that will be a nice, Euro-like touch. Of course, BMW could have just made these decoys look really nice to throw us off, so try not to take that too much to heart quite yet. Next up, we’ve got those kidney grilles that look like they were 3D-printed in a rush. They are larger than those of the current model and feature wider but fewer louvers. The outer, lower corners are also more rounded and longer than those of the current model too. It’s a nice look and seems to be a trend, as all recently revamped models from Bimmer seem to have larger grilles up front. As you can see from the close-up shot of the front, the grilles are almost entirely blocked off, allowing very little air through so this isn’t a hint toward extra performance or a need for increased cooling either. Further down, we can back out part of the air dam which is also largely blocked off. It features a louver in the center that connects to the lower lip. There also appears to be a sensor or camera of some sort that hints toward some kind of semi-autonomous features – most likely things like active cruise control and automatic emergency braking. Finally, in the corners of the fascia, or more specifically on the front driver’s side, we can spot out the shape of the corner vents and the overall design. From the look of things, it will rock vents that are similar to those found on the BMW M2 with a small inlet at the bottom and a vertically oriented inlet on the side. There’s an overhang or insert in the middle with a smaller overhang just above. The chances are that there will be LED fog lamps found on the center inserts as the circular units from the current gen have obviously be nixed. Around back, there’s nothing new to really speak of, but this model happens to be sporting a single exhaust outlet on the driver’s side. This could mean that this prototype is rocking a smaller engine. But, at the same time, the rear end is sitting just a little lower, so this could be some kind of higher-performance prototype or a hybrid model testing without any adaption to the rear suspension to support the extra weight of the batteries. My bet would be on the latter as there is only one exhaust outlet, but we’ll just have to wait and see. Either way, the little hatch is starting to come together nicely. And, before I sign off from this update, I should point out that the new 1 Series will be built on the UKL platform which means power will be sent to the front wheels. 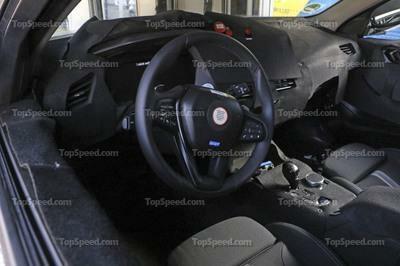 It will be a bit larger for better interior space but don’t expect a driven axle in the rear. And, rumors are suggesting there will be no three-door model, just the four-door model with a hatch out back, so if you’re hoping to get a sportier three-door model, you might be out of luck. What do you guys think so far? Is the new 1 Series something you might be interested in? Let us know in the comments section below. Before we dive too far into the looks of this prototype, I want to point out that this thing is rocking a relatively low ride height, beefy brakes, and large dual exhaust outlets. This all points to this being a higher-trimmed model, most likely the M140i. As such, it’s probably hiding a good number of aggressive cues under the camo that include rounded and defined corner air intakes and a larger air dam. And, if you peak through the screen in the corners, you can actually see the lip of the fascia curving up on the bottom, reinforcing my thoughts on the more aggressive nature. As is the usual case, we can’t make out anything about the grille at this point, but it appears as if it’s going to grow in size a bit. It will still have the usual rounded appearance and chrome trim but should grow by at least five to 10 percent. Moving onto the headlights, these units will be a little sleeker than before and appear to have a triangular top. It looks as if they will have a single projection unit, but a smaller unit could be hidden under the camo that covers up the inner corner of the lens. It looks like the hood will still get the same body line that runs from each of the A-pillars toward the headlights, but the central lines found on the current model seem to have been smoothed out for the next generation. Moving over to the sides, however, leads us to a whole new world of change. The most noticeable thing about this prototype, when viewed from the side, is that this model is significantly longer than its predecessor. First off, the nose is clearly four to five inches longer while the rear overhang adds a few more inches to overall length. This can also be justified by the added space between the rear door and the rear hatch, which as extended by several inches as well. As far as the roof goes, it’s not quite as bubbly as before thanks to the extra length while the beltline itself actually grades upward a bit from the front to the rear. The rear door glass also takes on an all-new shape, now featuring sharp angles and less of the rounded appearance. With the new slope of the rough, the elevated beltline, and the overall length of the next-gen 1 series, this could turn out to be quite a looker, but what’s going on in the rear? 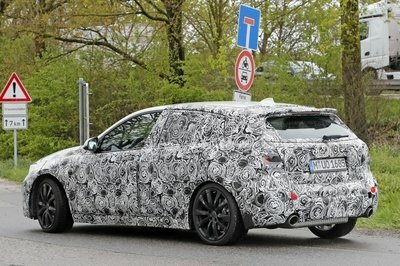 In the rear, we find that the next-gen 1 Series will actually feature much smaller taillights that are more triangular in shape and feature a single module inside that’s split in half – the top half will function as a reverse light while the lower half will handle tail- and brake light functions. There could be some kind of lens overlay on the lower rear hatch, but it doesn’t appear that way as of now. The rear hatch now has slightly shorter glass while the lower half of the hatch doesn’t have the sharp curvature around the taillight areas. Down below, we can spot dual exhaust outlets, and if you look close enough, you can see a valve inside the left outlet, pointing toward an active exhaust system that is controlled via the various driving models. 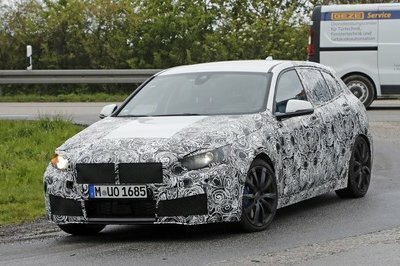 Finally, I want to point out the both the front and rear fascias have a few holes cut into them, which could point to the next-gen 1 series featuring advanced camera and radar sensors. 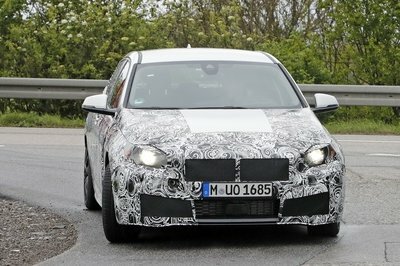 This could point to the 1 Series having some form of a semi-autonomous feature. For now, it’s just speculation, of course, but those holes wouldn’t be there for no reason, right? 2017 BMW 1 Series Sedan shown here. There’s really no telling what BMW will do for the interior of the next-gen 1 Series, but we may have a hint thanks to the recently released 1 Series sedan for the Chinese market. It’s based on the current-gen model but was updated to have its very own look inside. 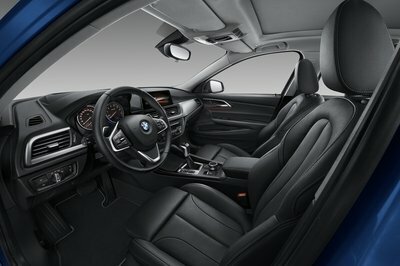 As such, BMW could very easily use this interior, or a derivative of it, for the next-gen 1 Series hatchback. Compared to the current 1 Series, the dash will be a bit smoother with redesigned trim, while a reworked, two-gauge instrument cluster will serve as the centerpiece ahead of the driver. The steering wheel should shrink in size a bit thanks to a smaller air bag unit, while the thumb buttons on the steering wheel should be refined. On the infotainment front, the same display found in most BMW models should float above the center stack, but it will get the latest software that includes 3D, street-level map rendering and a phone-like interface for better usability. If this model does indeed come with some semi-autonomous functions, there should be some kind of controls for that system as well, or the instrument cluster could take on a digital presence instead of the standard analog readouts. Seats in the base model should provide decent support, but the higher trim levels – namely the M140i and M1 – will receive more supportive seats up front to accommodate the spirited driving style that undoubtedly comes with owning any BMW with some form of an M badge. But, as a 2019 model, we still have a while longer to wait, so BMW could have something completely different planned as well. This is where things really get interesting. With the next-gen 1 Series making use of BMW’s UKL platform, it will undoubtedly be offered standard with front-wheel drive. A whole range of three- and four-cylinder engines are on the table depending on trim level with anywhere from 100 horsepower up to as much as 360 horsepower in an M1 or what we suspect to be in this photo, an M140i. As such, the M-branded variants of the new generation could be offered with all-wheel drive based on a hybrid system that puts an electric motor at the rear axle. A plug-in hybrid version is on the table as is the possibility of an all-electric model at some point down the road. Plug-in models are more likely considering BMW already has a few plug-in models based on the UKL platform, but an all-electric model definitely isn’t out of the question. Transmission options are still up in the air, but a six-speed manual should be available. For those that prefer a more automated experience, a seven-speed dual-clutch transmission with paddle shifters could be on the table as well. M-branded models like the one you see in the images here will get an M-Sport suspension system that lowers the ride height by nearly an inch, while an active exhaust system will keep things audibly comfortable during day-to-day commutes or obnoxious when you decide to piss off the neighbors on Monday morning when you leave for work. M-branded models will get beefier brakes and larger wheels compared to the base models. The current 1 Series stats out for around $36,000 in China at current conversion rates. Here in the U.S., a $36,000 price point would be much too high considering the 2 Series starts out at $33,150 and the 3 Series starts at $33,450. Knowing BMW, however, it’s not going to want to offer the 1 Series too cheaply here in the U.S., so it’s likely the 1 Series will be priced quite close to the 2 Series (much like the 2 Series is to the 3 Series). As such, expect pricing for the 1 Series to start out around $31,000 and climb to as much as $43,000 for the range-topping model. Of course, it’s still way early for this kind of talk, so we’ll have to discuss pricing again a little further down the road. This wouldn’t be your traditional party if we didn’t pit BMW against Merc, and Mercedes has a strong contender in this niche. I’m, of course, talking about the Mercedes A-Class. By the time the new 1 Series makes it to U.S. showrooms, the A-class will be in its fourth generation. The last we saw of the next-gen A-Class left us with more questions than answers thanks to heaving padding and camo, but we do know that it should offer more interior space, sportier looks, and more powerful engines, among other things. It will be fitted with the latest infotainment and system technology and could, in fact, be offered with semi-autonomous capabilities as well. Like the 1 Series at this time, the A-Class isn’t available here in the U.S., but over in Europe, the A-Class can be had in as many as 10 trim levels that offer as little as 109 horsepower or as much as 381 horsepower in AMG A45 trim. Pricing ranges anywhere from £20,715 ($26,794) to as much as £48,660 ($62,941) for the A45 Yellow Night Edition. 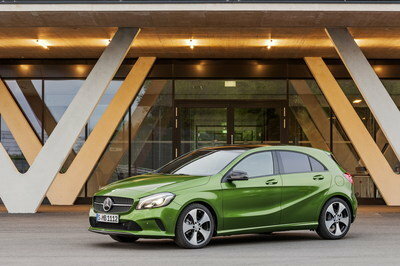 Find out more about the Mercedes A-Class. A party of German vs. German wouldn’t be fair if we didn’t throw Audi in the mix, and as such, you’ll want to look to the Audi A3 as your four-ringed go-to in this segment. The A3 is currently available here in the U.S., but we’re limited to the A3 e-tron Sportback. Over in Europe, the A3 comes in a variety of flavors. 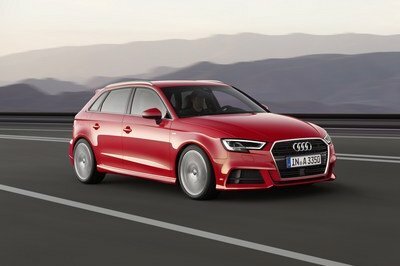 To start off, the A3 can be had with as little as 113 horsepower or as much as 181 horsepower. Pricing for these models start out at £20,365. The, you’ve got the S3 which offers up just a little over 300 ponies with a starting price of £33,505. Finally, for those who want the absolute best in this niche, there’s the Audi RS3 with a 2.5-liter five-cylinder that delivers nearly 400 ponies. Pricing for this model isn’t available quite yet as the order books don’t open until late 2017. Learn more about the Audi A3. At this point, we’re still at least a year out from seeing the new 1 Series in the metal. But, it will be a pretty big deal as BMW will be bringing it back to the U.S. which could trigger Mercedes to finally bring back the A-Class and Audi to offer something more that the A3 e-tron Sportback. This could also open up the niche that currently dominated by models like the Volkswagen Golf R and the Ford Focus RS as well, which is good news for those of us here in the States. 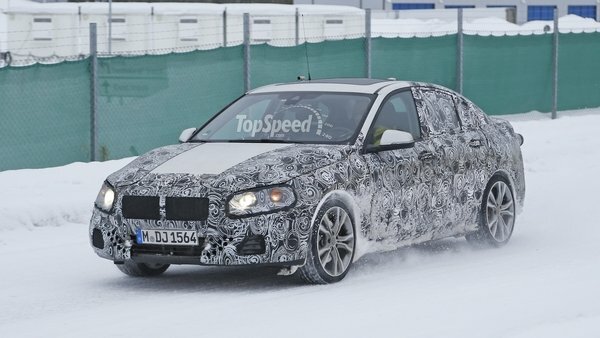 We’ll get another round of spy shots for the upcoming 1 Series sometime later this year or in the beginning of next, which will be followed by the official unveiling at the Detroit Auto Show or Chicago Auto Show in 2018. Until then, check out the spy shots and let us know what you think in the comments section below. Read our full review on the current BMW 1 Series. 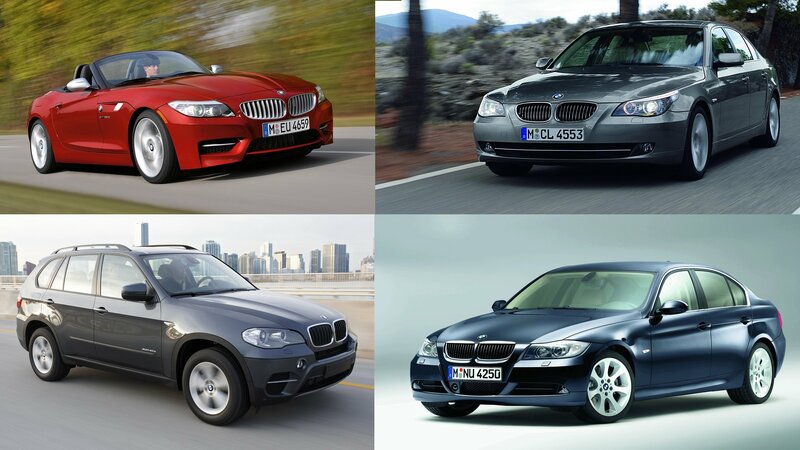 Introduced in 2004 but not making it to the United States until the 2008 model year, the 1 Series is the smallest and least expensive vehicle in the BMW lineup. Despite its low price, the first-generation baby Bimmer was rear-wheel drive, exceptionally well balanced, and used an aluminum, multi-link suspension system. Worldwide, the 1 Series was available as either a three- or five-door hatchback, a coupe, or a convertible. However, here in the U.S. we only saw the coupe and convertible. 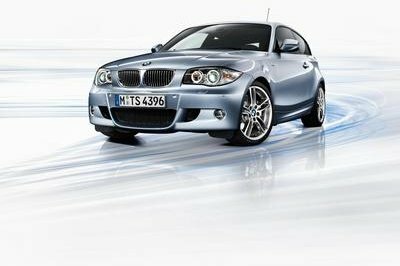 While the 1 Series was available with a variety of four-cylinder and six-cylinder options, the most potent model was the 1 Series M Coupe, which sported a 335-horsepower inline-six and was only available with a six-speed manual transmission. The second-generation 1 Series was introduced in 2011 with a new look and no plans for sale in the United States. 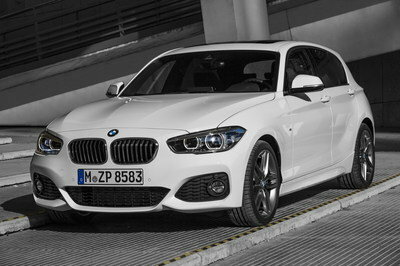 Also, available with a variety of engines, the potent trim level was the M135i which came later in 2012. It was then followed by the all-wheel-drive M135xi. The new, third-generation 1 Series is set to become front-wheel drive and is reportedly coming back to the U.S., so let’s take a closer look at it and see what kind of changes are in store for the smallest Bimmer in the lineup. Update 11/02/2017: It’s been two months, but the BMW 1 Series has finally been seen testing on public roads yet again. Nothing has changed on the outside, but boy do we get an exciting look at the inside. Check out the spy shots section below to see it for yourself. Update 09/08/2017: It’s been months since we’ve seen the next-gen 1 Series testing on public streets, and it’s finally be spotted again. 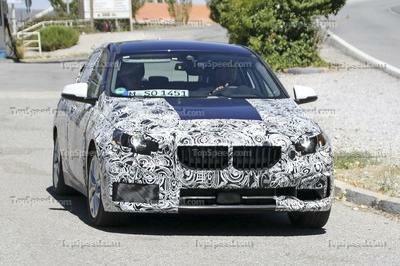 As it turns out, BMW has been quite busy inching the 1 Series closer to production. Check out the “Spy Shots” section below to learn about what’s new this time around. A refreshed version of the BMW 1 Series has been prepared for launch in July 2017, and although you may find it hard to notice the differences, BMW promises the new model is thoroughly improved in every way. 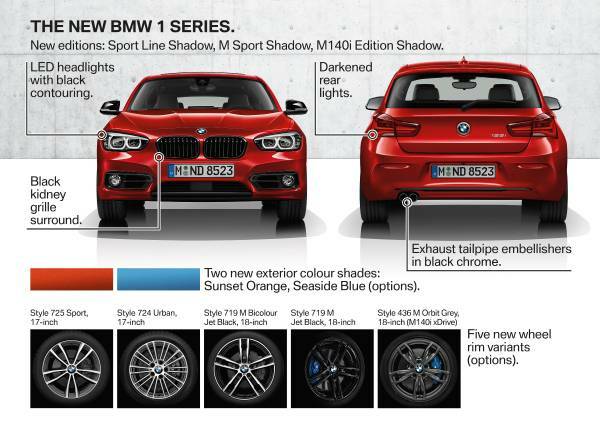 The 2018 BMW 1 Series comes in 3-door and 5-door form and a number of editions such as Sport Line Shadow, M Sport Shadow and BMW M140i Edition Shadow. 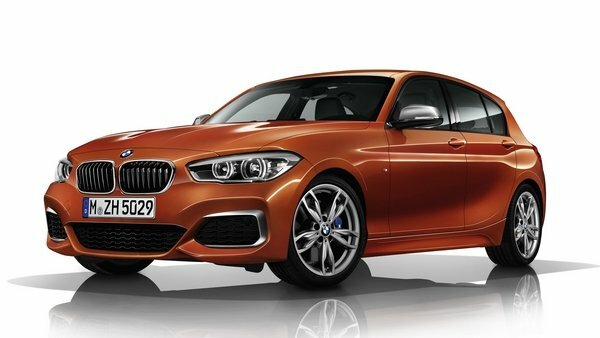 Setting the 2018 BMW 1 Series apart from its predecessor are a number of aesthetics changes, including two new exterior colours – Sunset Orange and Seaside Blue, and five new alloy wheels in 17 and 18 inch sizes. Special edition models also get black kidney grille, black inserts in the LED headlights and darkened LED rear lights, while Completely newly designed instrument panel with enhanced driver focus provides a more generous feeling of space. 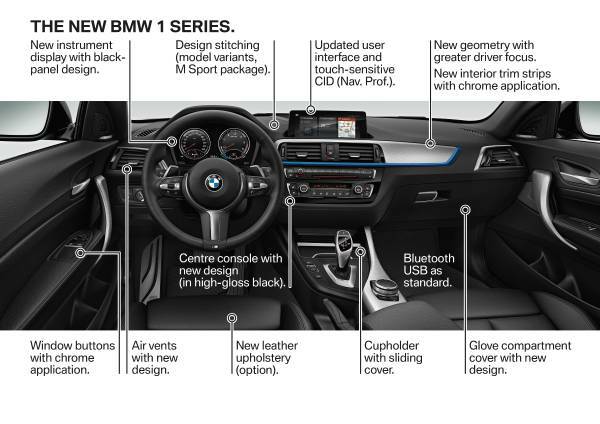 The 2018 BMW 1 Series is also a tour de force when it comes to technology features, boasting the latest-generation iDrive system with optional Navigation system Professional with 8.8-inch touchscreen, voice control and iDrive Controller with touch-sensitive interface, BMW ConnectedDrive Services available with Real Time Traffic Information (RTTI), smartphone integration via Apple CarPlay, inductive charging and a WiFi hotspot for up to ten devices. As for the mechanical highlights, the rear-wheel-drive 1er launches with a range of powerful and efficient engines includes three-, four- and six-cylinder petrol units. 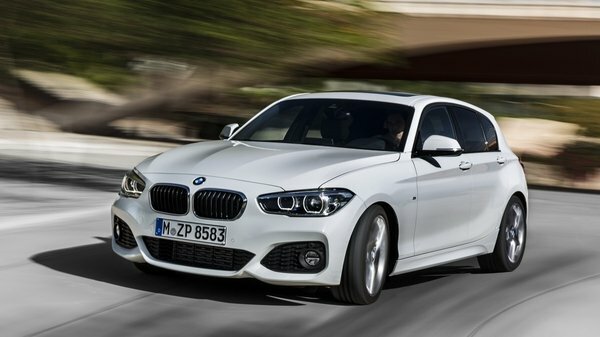 So whether it’s economy you want or performance, you are covered with outputs ranging from 109 hp in the BMW 116i to 340 hp in the BMW M140i, and fuel consumption from as low as 3.4 l/100 km to 7.8. 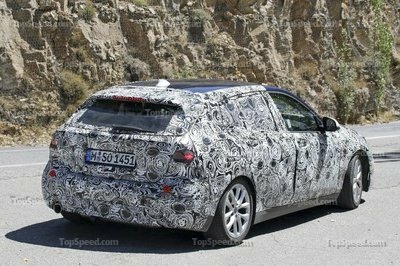 The post Official: 2018 BMW 1 Series appeared first on Motorward. The second-generation 1 Series went on sale in 2011 as a redesigned version of the compact that BMW first introduced in 2004. But, unlike its predecessor, the current model consists of only three- and five-door hatchbacks, while the two-door coupe and convertible are being sold under the 2 Series. Pretty much a competitor for the Mercedes-Benz A-Class and Audi A3, the current 1 Series stands out as the only vehicle in its niche to use a rear-wheel drive architecture. In 2016, BMW confirmed that the 1 Series will also get a sedan version. 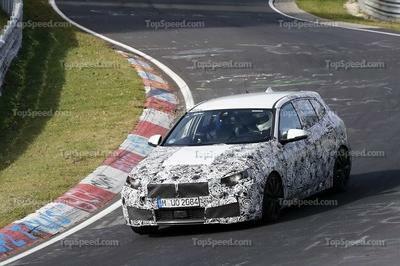 Rumored for a few years now, and spotted testing under heavy camouflage as early as 2013, the 1 Series Sedan was announced in July 2016 as a model designed exclusively for the Chinese market. The car has yet to be unveiled to the public as of this writing, but an official launch is scheduled later in 2016. BMW did release a teaser picture showing that the sedan’s design is heavily based on that of the 1 Series hatchback. However, while the styling cues are similar, the platform underneath is not. Unlike the hatch, the four-door sedan rides on a front-wheel drive platform shared with the Mini Cooper; the same that will underpin the third-generation 1 Series. Although BMW said that the sedan won’t be sold outside China for the time being, we do believe that the four-door will eventually find its way into other markets, including Europe and North America. When that happens, the German brand will expand the lineup to include more trims, including performance oriented versions. This could happen as early as 2018. 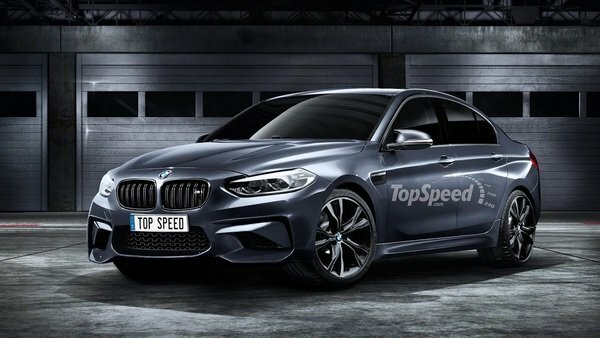 An M-badged version would definitely be in the works in that scenario, which is why we went ahead and asked our designer to come up with a 1M Sedan. More about its design features and what it may bring to the table in our speculative review below. Keep reading to find out more about the 2018 BMW 1M Sedan. BMW introduced the second-generation BMW 1 Series in 2011, when the redesign also brought a split between the hatchback and the coupe models. While the former continued to use the 1 Series badge, the latter was renamed the 2 Series. The new 1 Series had a fresh design, updated technology, and revised engines. However, unlike the first-gen car, the F20/F21 models didn’t get a proper M variant. Instead, BMW launched the M135i, which was equally powerful despite not being a full-fledged BMW M.
While Munich doesn’t seem very eager to build a new 1M anytime soon, it has just updated its range-topping 1 Series for the 2017 model year. It goes by the name M140i and comes with extra horsepower, optimized fuel consumption, and improved performance. On the flipside, the new badge changes nothing in terms of exterior design and interior features, leaving the performance-oriented hatchback unchanged for the 2017 model year. The bad news is that BMW still doesn’t want to bring the second-generation 1 Series to the United States, and as a result we won’t find the updated M140i in dealerships. This leaves us with the similarly sized M240i Coupe that BMW launched alongside the hatchback or the absolutely wild M2. Until BMW decides otherwise, let’s have a closer look at its most powerful hatch to date. Continue reading to learn more about the BMW M140i. The BMW 1 Series M Coupe is one of those cars that will last the test of time. 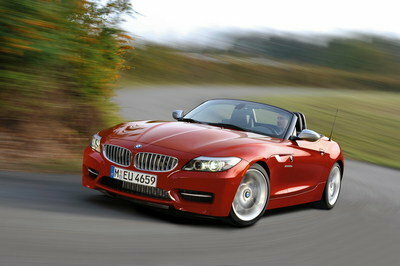 I’m calling it as early as now, even though it’s only been four years since BMW stopped production of the car in 2012. In total, only 6,309 units of the 1 Series M Coupe were made and despite having exited from our lives, the sports car is still revered as one of the finest works to come out of BMW. Proof of that lies in the number of aftermarket programs that are still being made for it. Yes, it’s 2016 and yet, there are still tuners like Alpha-N Performance that are taking the time to build kits specifically for the car. That tells you all you need to know about the stature of the 1 Series M Coupe. Alpha-N Performance’s program for the sports coupe is a real treat considering the length by which the tuner developed that engine mod. The tuner did so in lieu of making any exterior and interior changes, but what it was able to bring out of the car’s 3.0-liter twin turbo straight-six engine is utterly impressive. I’m not going to spoil the actual number Alpha-N managed to get out of that N54 engine, but I will say that it well exceeds the output of some of today’s sports cars. In other words, it’s beyond ridiculous and is fitting, I might add, of a car that’s been described in the exact same words. 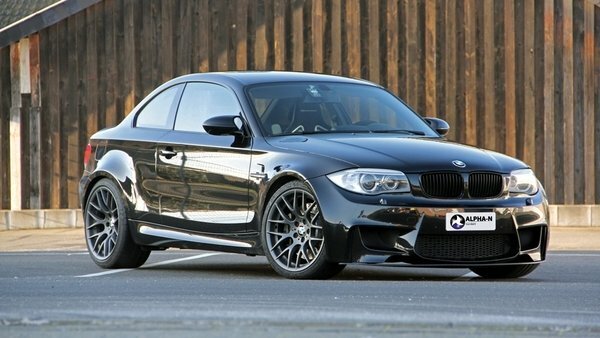 Continue reading to learn more about the BMW 1 Series M Coupe By Alpha-N Performance. 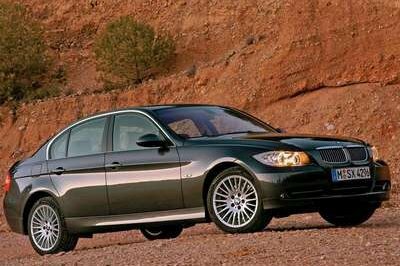 The second-generation 1 Series has been around since 2011, when BMW redesigned the compact it first introduced in 2004. Unlike its predecessor, the current 1 Series consists of only three- and five-door hatchbacks since the two-door coupe and convertible was renamed the 2 Series back in 2011. In 2017, a third body style was added to the lineup, in the form of a four-door sedan. 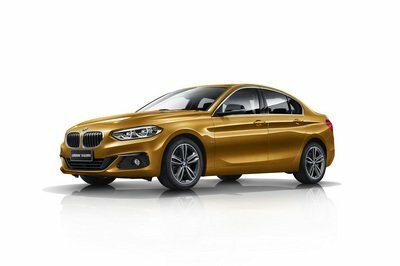 Based on the Concept Compact Sedan that BMW showcased at the Guangzhou Motor Show in 2015, the 1 Series Sedan is a China-exclusive model and it’s manufactured as part of the joint venture between the BMW Group and BMW Brilliance Automotive Ltd in Shenyang, alongside the long-wheelbase versions of the larger 3 Series and 5 Series. The logic behind BMW’s decision to sell the 1 Series Sedan in China is pretty simple. The German firm sold over half a million cars in the country in 2016, which makes China BMW’s biggest market. 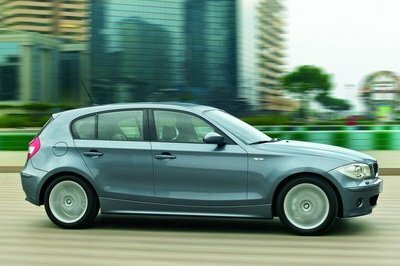 The need of a smaller sedan based on the 1 Series appeared following customer requests of a more compact, yet premium vehicle for the crowded streets of China’s largest cities. 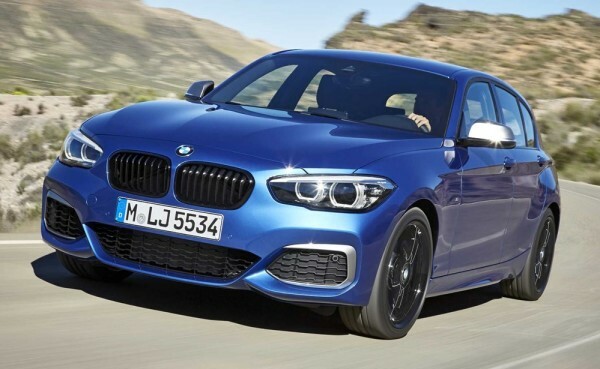 Of course, the 1 Series Sedan is also a response to the popular Audi A3 Sedan and Mercedes-Benz CLA, but BMW won’t be able to compete properly against its German rivals unless it brings the new sedan to Europe and the United States too. It remains to be seen whether this will change sooner or later, but until it happens, let’s have a closer look at the all-new BMW 1 Series Sedan. Continue reading to learn more about the 2017 BMW 1 Series Sedan. BMW has had to do some very deep soul-searching when it comes to the 1 Series. On the one hand, its rivals are all front-wheel-drive, and the rear-wheel-drive 1 Series suffers by comparison when it comes to interior space, something which is important in a hatchback. But this is a BMW, not a Mini, and while all-wheel drive is a generally acceptable alternative to rear-wheel drive, the purists would not be happy with a car that sends power to just the front wheels. Of course, Porsche has shown that sometimes ignoring purists is the most profitable option. There is some good news for those purists though, as BMW has a new board member, Klaus Frohlich. Frohlich seems very much of the opinion that the emotional element of BMW’s cars is very important, and that means rear-wheel drive “from the 7 Series down to the 1 Series.” BMW has a new scalable rear-wheel-drive architecture, making its production debut in the new 2016 BMW 7 Series, which will make implementing rear-wheel drive in the 1 Series easier. Luggage space will still suffer, but Frohlich is confident that other BMW vehicles can fill that roll. Leave it to BMW to brag about a technology that goes against its previous “driving pleasure” credentials, but this is how marketing rolls these days. 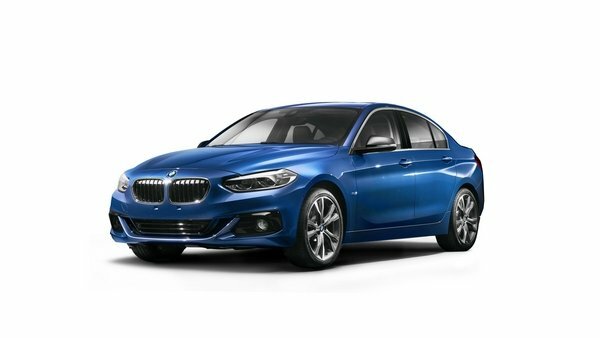 In short, the latest 1 Series facelift commercial showcases the predictive gear shift technology found in the model when equipped with the eight-speed automatic transmission. Using GPS information from the satellite navigation system, the transmission can change gears down before a corner and then back up once through the apex. This happens automatically, to create a smoother driving experience through the twisties. I’d love to try it, but there are two problems with the ad. The commercial suggests that the technology is new, when in fact it debuted in 2013. And it was initially developed for the Wraith by a Rolls-Royce engineer, and it only recently trickled down to BMW models. In its defense, BMW owns Rolls-Royce, so technology-sharing between the two companies is to be expected. 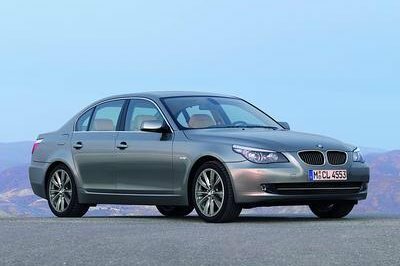 Both the 1 Series and the Wraith use eight-speed automatic transmissions sourced from ZF, while their satellite navigation systems are very similar, so it was a no-brainer for the tech to be passed onto BMW models eventually. In the Rolls it is called “Satellite-Aided Transmission (SAT), while BMW calls it “Predictive Gear Shift Technology,” but they work in the exact same way. Interestingly, an earlier version of the system was developed by a BMW engineer working for the now-defunct Williams-BMW F1 team, but he was since snatched up by Roll-Royce. 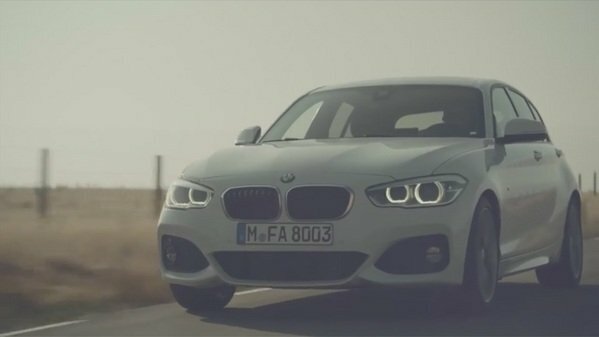 BMW Showcases Predictive Gear Shift Technology In 1-Series Commercial: Video originally appeared on topspeed.com on Wednesday, 25 March 2015 12:00 EST. Just when it starts to look like BMW has created a car to fill just about every niche it could possible conceive, rumors begin to emerge about a future niche-filling model in development. Where could the German automaker go beyond Gran Coupe, Grand Tourer, Gran Turismo and coupe-inspired crossovers? If Automobile Magazine is right, BMW is working on a new off-road version of the 1 Series that could wear the Sport Cross name. Going after the active-lifestyle crowd who demand a somewhat capable vehicle that isn’t too expensive or harsh on the environment, the BMW 1 Series Sport Cross is expected to be ready for European customers by 2018. It will essentially split the difference between the existing 1 Series hatchback and the X1 crossover, while having its own distinctive look and feel. It’s not likely that the 1 Series Sport Cross will be the Ultimate Off-Road Driving Machine, but BMW could definitely have a nifty soft-roader on its hands when this thing debuts. Note: Standard BMW 1 Series pictured here. 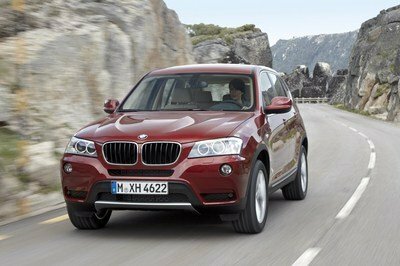 Continue reading to learn more about the BMW 1 Series Sport Cross. BMW 1 Series Sport Cross originally appeared on topspeed.com on Thursday, 5 March 2015 17:00 EST. Apart from FWD, which will be standard on most lower-powered versions, a FWD-based all-wheel-drive system will also be available either as an extra or as standard when paired with the top engines. Speaking of which, the engine lineup will likely vary from a 1.5-liter three-cylinder mill to 2,0-liter four-cylinders – both gasoline and diesel – all of them being turbocharged and paired either with a six-speed manual or an eight-speed automatic transmission. 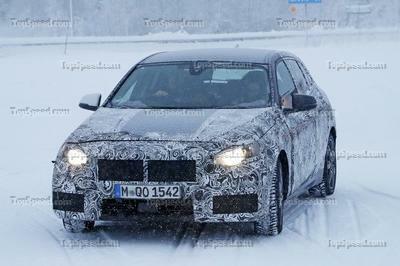 BMW 1 Series Sedan Caught Winter Testing: Spy Shots originally appeared on topspeed.com on Tuesday, 3 March 2015 18:00 EST. Click “Continue Reading” to read my full review of the 2015 M135i to find out. BMW M135i originally appeared on topspeed.com on Monday, 23 February 2015 11:00 EST. Two people driving a BMW X5 in South Africa are very fortunate to be alive after a botched carjacking by a group of men posing as police officers. Rekord East, the local newspaper for Pretoria East, reports that the white BMW 1 Series hatchback was equipped with blue lights and the men were wearing jackets, bulletproof vests and had weapons that made the couple believe they were police officers, and most of the terrifying incident was caught on video by an eyewitness. By the time the video starts, the male passenger had already been placed in the back seat of the 1 Series, and the woman was attempting to get away from two of the men. Initially, the eyewitnesses thought the carjackers/kidnappers were legitimately the police and commented that woman shouldn’t try to get away. It soon became clear that the situation was more serious than they had imagined. At some point, the woman from the X5 realizes the men are not police officers, and she tries to run away before being dragged back to her vehicle, punched and then thrown in the back seat. The women recording the video then realize something is wrong when the two cars just begin to drive off and the man jumps from the moving hatchback. This creates a diversion and the woman escapes from the back seat of the X5 and she runs toward the women, who are now on the phone with the real police. The car speeds off with all the men in the car, and the X5 and its occupants left behind. The report goes on to say that two shots were fired in this incident, but there were no injuries reported. Police later found the 1 Series abandoned with all of the weapons and police equipment still inside. It doesn’t sound like any of the men have been caught. 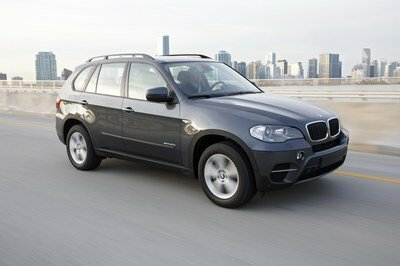 Video: Watch This Frightening Attempted Carjacking of a BMW X5 in South Africa originally appeared on topspeed.com on Monday, 26 January 2015 07:00 EST.